Marilena Nardi was born in Italy in 1966. She has been teaching at the Accademia di Belle Arti of Venice since 1992. She is a long time illustrator, having started publishing her works of graphic humor more than 15 years ago. She worked for and collaborates with a number of magazines of national and international level. 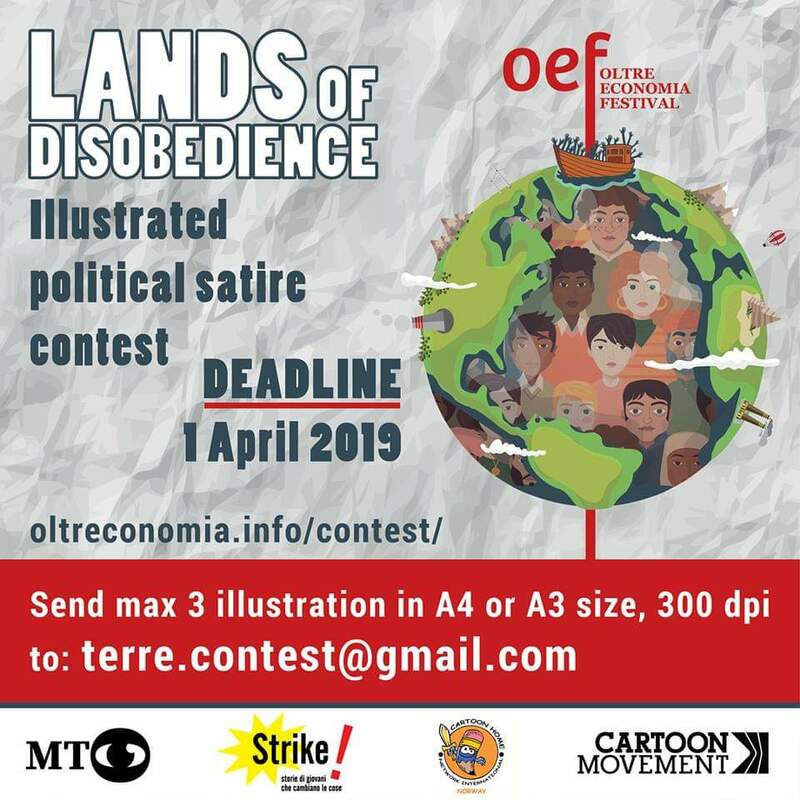 She was awarded more than 50 prizes, among which the World Press Freedom Cartoon of Ottawa (USA), the Forte dei Marmi prize for political satire (Italy) and the Gran Prix of the World Press Cartoon of Caldas da Raìnha (Portugal). Marilena is member of the organizations France Cartoon, Cartoon Movement, United Sketches and Cartooning for Peace. Anne Derenne (Alias ADENE) is a French cartoonist and illustrator based in Madrid. She studied international economics, getting a Master degree in development economics in 2006. In 2011 she began her carrier as a freelance cartoonist. She is collaborating with Cartoon Movement and with different magazines and NGOs. Her artwork has been exhibited in a lot of collective international exhibitions worldwide and she has won several international prizes for her cartoons. Emanuele Del Rosso is an Italian communication specialist and political cartoonist. Since 2016, he has been member of the Dutch collective Cartoon Movement. He publishes his illustrations on several online magazines and newspapers around the world. His works has been exhibited in cities like Amsterdam, The Hague, Paris, Trento, Ramallah. In September 2018 he won the second prize of the political cartoons contest ‘Libex 2018‘. In the same month he has also entered the best 100 Dutch cartoons of 2018 within the ‘Inktspotprijst‘ contest and he won the Italian ‘Strike‘ contest for young talents.